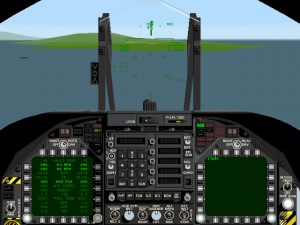 F/A-18 Hornet 3.0 was Graphic Simulations’ first foray into the PC sim market and it was surprisingly advanced. 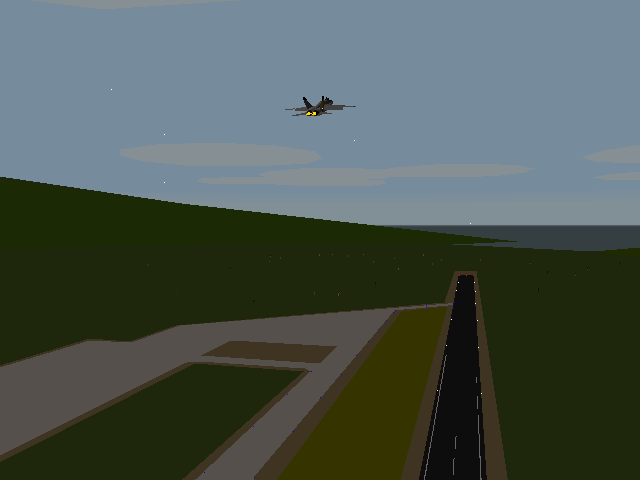 Not that GSC is lacking in sim experience, having released three successful versions of the F/A-18 on the Macintosh. Designed for the experienced flight sim pilot this product has most all the standard features you have come to expect in a flight sim and more. 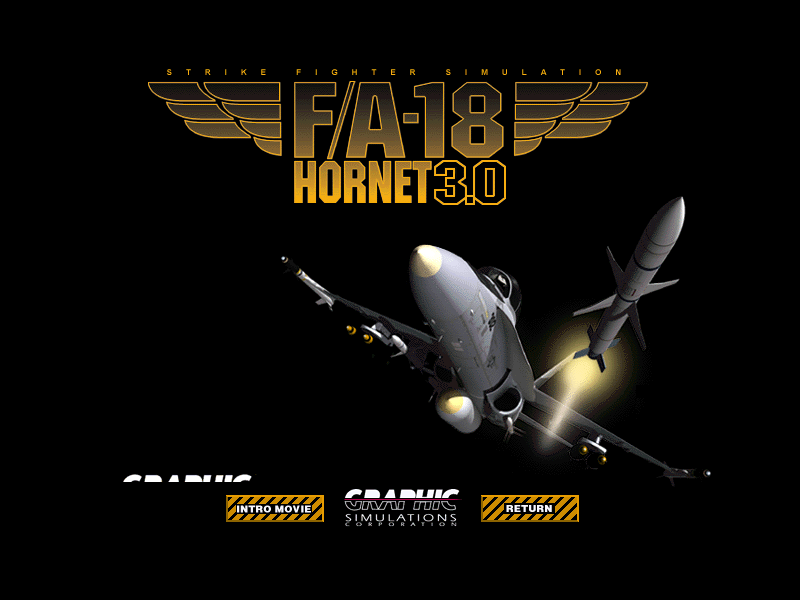 Detail is the name of game in Hornet 3.0 and with three previous iterations to build on most have been thoroughly addressed. 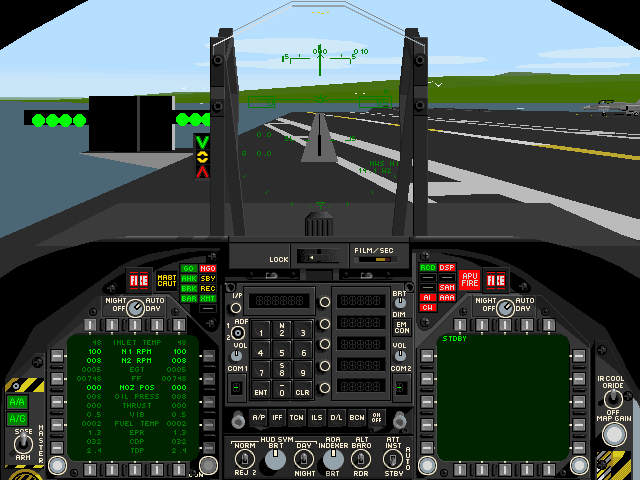 From the fresnel lens system (“meatball”) on the carrier to the beautiful full-screen cockpit display complete with moving maps and digital displays, even the minute details are carefully portrayed. Everything from inlet temperature to engine vibration is monitored on the Digital Display Indicators (DDIs) and the amount of information available can be overwhelming . 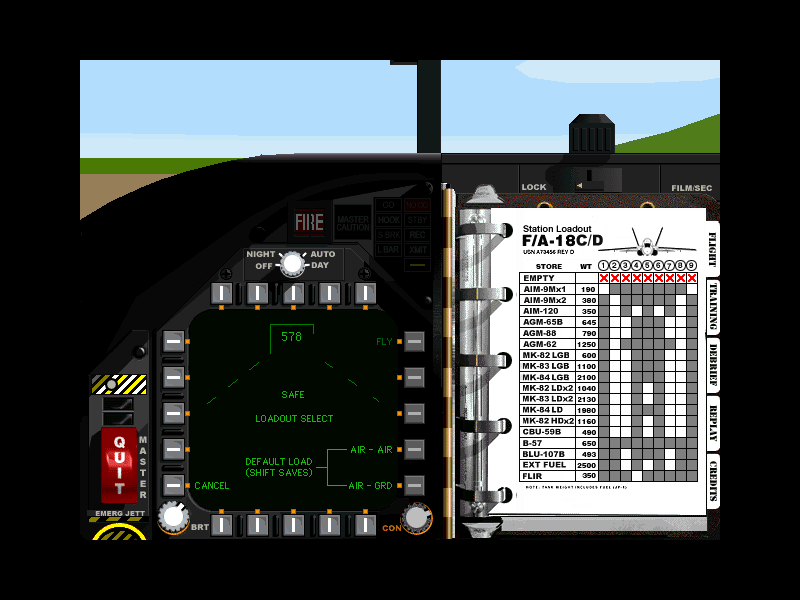 Of course with all the detail involved, this sim ends up being somewhat complex and could be quite daunting for a beginner. The manual, which is rather short and desperately needs an index and glossary, is laid out and reads like an actual Department of Defense document. 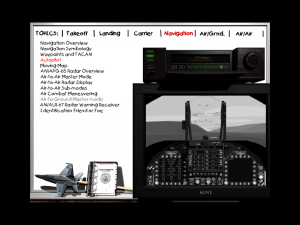 To help get you up to speed there are excellent tutorials built right into the sim, covering such topics as carrier landings, air-to-ground attacks, and navigation. 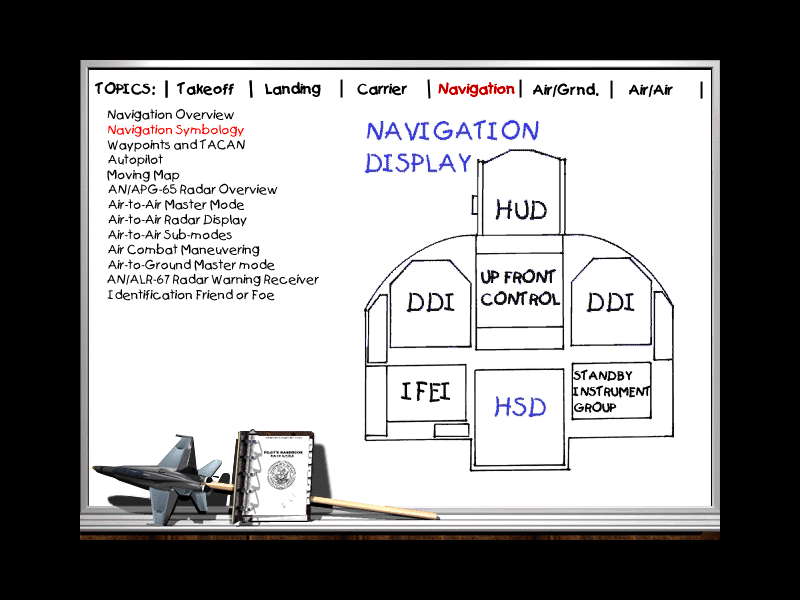 These training tutorials come up on a mock TV/VCR and give actual sim camera footage as well as informative blackboard diagrams to help explain various aspects of the F/A-18. Do not be fooled by the outdated graphics, however; the flight model is excellent and after several hours of flying around you can almost imagine you are in the real thing. Landing on the carrier for the first time with the Landing Signal Officer giving you verbal directions is quite exhilarating. 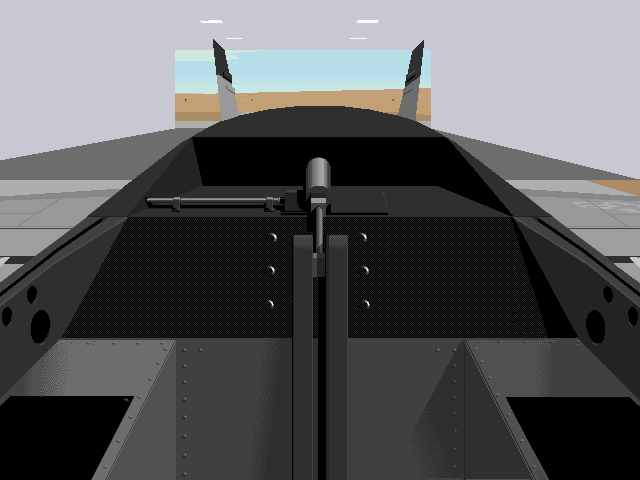 There is great sense of engine power when flying around, especially when you kick in the afterburners and get the satisfying muffled roar; the little details are what make this sim fun. 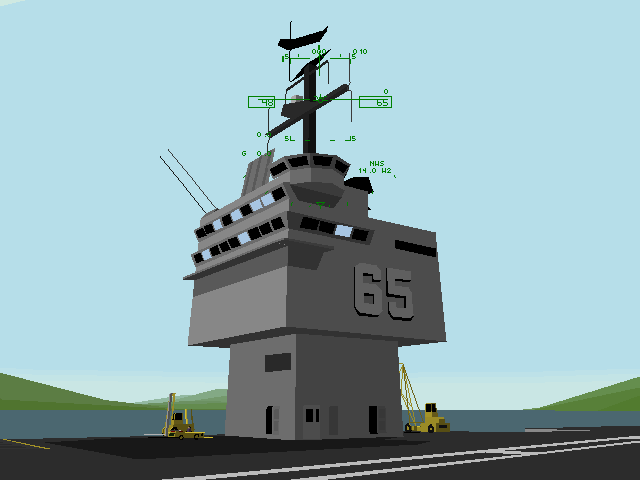 I cannot ever remember playing another sim where I was waved off on a landing because of traffic on the flight deck. Though a great deal of attention was spent on details there some general areas that are lacking. 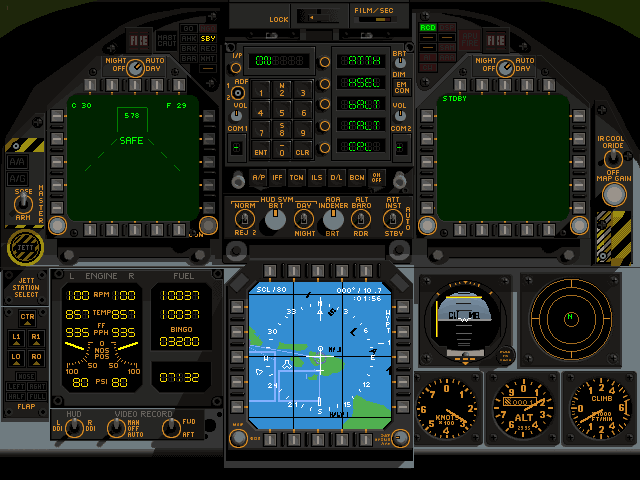 First and most important are the number of missions; there only 28, playable as a single campaign or individually. 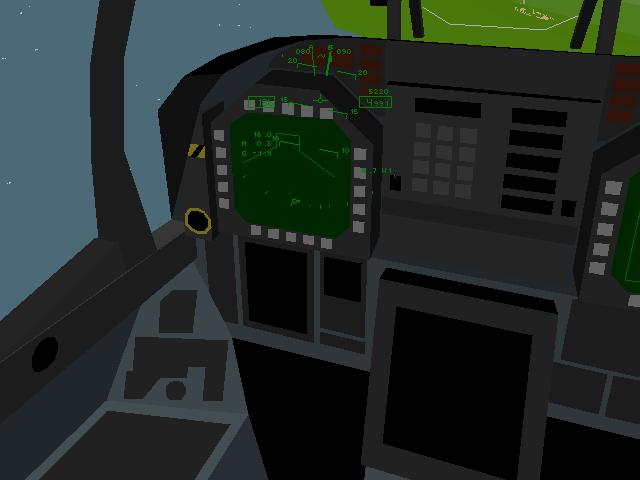 Though there are also six multiplayer and training missions, there is no mission builder/editor. 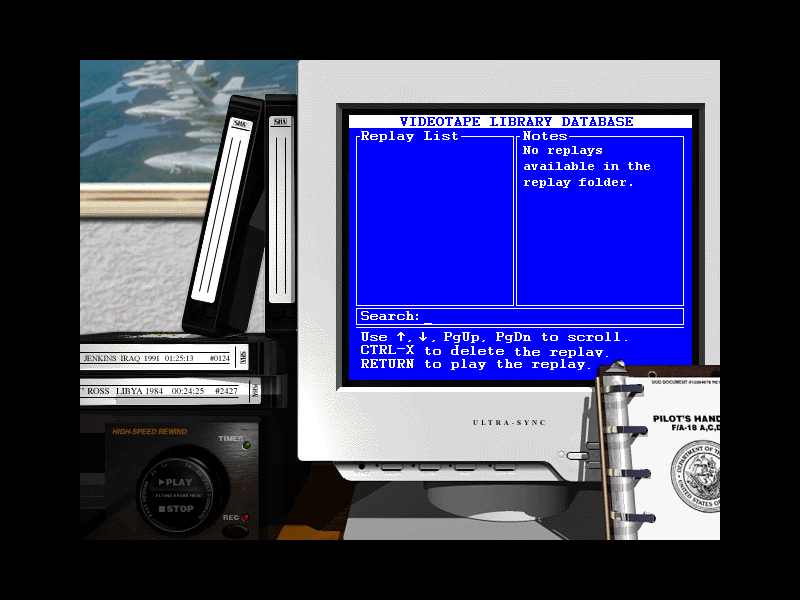 Mission briefings are also short and non-descriptive, with no detailed maps or information given out. And also, despite the useful training material, missions in Hornet 3.0 can be very challenging and not quite aimed at beginners.